It’s hard to believe that Google barely existed 10 years ago. Suffice it to say, Google has changed the business of private investigation in countless ways, from getting information to attracting new clients. If you are anything like me, you probably use Google many times throughout the day and can hardly imagine a world without it. Outside of its core search engine function, Google offers a wealth of tools for investigators to use to monitor clients and keep up with industry trends. In addition, it is one of the most feature-filled email hosts available. 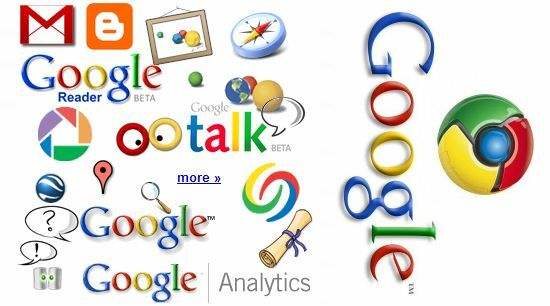 Google has so many features and products; many people don’t even know how to use them — or that they even exist. Below are six helpful ways to use Google to boost your investigative business, attract new clients and keep up with industry trends. In 2007, Google introduced Google Apps for Business for businesses of all sizes. It features word processor and spreadsheet capabilities and serves as an email host, among numerous other functions. One of its distinct advantages is that it puts all your information in the cloud, so you can make that information accessible to anyone with an Internet connection. Google Apps allows users to share website links, details about ongoing cases, and important contact information, but its best feature is email. For $50 annually per user, you can create your own professionally branded email address (yourname@yourinvestigativefirm.com) complete with lots of storage space and powerful features. Because everything is in the cloud, you can access your account from any computer or mobile phone. The term “blog” has become ubiquitous with Web 2.0. Google loves blogs because search engines (not just Google) love new content. Static websites that update once a year don’t carry as much weight as do websites that constantly produce new and interesting content. Why should you be blogging? Blog content has a greater chance of showing up in natural search results (i.e., Google’s top 10 results) than does non-blogged content. Studies have shown that Internet searchers click on and “trust” natural search results much more than they do paid ads. By publishing content on your blog that is specific to your investigative specialty, readers — and potential clients — will see you as a thought leader, thereby helping you earn their trust up front. You’ve probably seen the sponsored results at the top of every Google search. If you want your investigative business to appear in those results, all you need to do is sign up for Google AdWords and bid on the specific term(s) you want to associate with your blog or site. Certain terms may cost you an arm and a leg, but the more specific the term is, the more hits you may get from qualified and focused potential clients. Google Alerts is an indispensable feature for every investigator. It automatically searches the Internet for any term you want to track and automatically and instantly alerts you via email or your RSS Reader (see below) to a newly published result with that term. Investigators can use Google Alerts in many ways, including tracking clients and competitors, gaining immediate access to new information on a case that you worked on or are working on, and locating that person you have been looking for. Google Reader is an RSS reader, an online feed that collects information on topics you are interested in from news sites and blogs that you choose. An RSS reader compiles information while you are going about your business, so it becomes your own customized news feed for ongoing trends, legislative developments and anything else you are interested in following. Among RSS readers out there, Google Reader is one of the best because of its advanced features and ease of use. More and more people are using the Internet to find products and services, specifically when they are looking for local service providers. When you search “private investigator in Pensacola” in Google, the top search results include contact information from Google Places for private investigators in the Pensacola area. But your name won’t simply appear in those results; you have to claim your listing through Google Places. It’s free and simple, and it just may get you that phone call you’ve been waiting for. Editor’s Note: I’d also add Google’s YouTube service to the list! It is a Google product and video marketing is one of the most effective ways to both attract and engage your clients by offering them a memorable marketing message but private investigator websites integrating video into find a huge increase in exposure in the search engines as well. Here is one example of a video for a Pensacola Private Investigation Agency.